This article first appeared in the April 2015 edition of Security Solutions magazine. Nothing sells news like a scandal, but while security companies are busy protecting their clients’ people and assets, who is looking out for them? ‘News that sells’ is the mantra of modern-day media. From print newspapers to talkback radio, social media and online news, the telling of stories is now more than ever embedded in a click-bait profit cycle that is at its best informative and educational, yet at its worst is profiteering on the misfortunes of others. Akin to the subculture of ambulance-chasing legal firms, today’s news media profit indiscriminately from the scandals of corporations and people around the world. Social media compounds the issue, making a crisis far more newsworthy than it may have otherwise been, while citizen armchair commentators troll brands like it is a newfound hobby. News geared for profit is one of those inconvenient truths everyone knows exists but largely ignores. Everyone tolerates it, always hoping that the next big trending #PRFail is not theirs. Until of course, it is. For the security industry this presents a multitude of challenges for those in leadership roles. Communicating during a crisis in a security incident or emergency context differs significantly from communicating with the media, shareholders and workforce during corporate crises. For a start, management has no command and control over the media landscape. Early on during a corporate crisis, they are also highly unlikely to have command and control of the situation that caused the crisis in the first place. Worse still, despite their best efforts and investment in their workforce through stringent pre-employment screening, training, mentoring, compliance and regulatory certification, the organisation’s greatest reputational risk remains at the coalface. Management need to consider how much the organisation’s reputation is worth and think about it comparatively; while the bottom line may dive during a crisis, the follow-on impacts to other parts of the organisation – contracting, new clients, staff attrition, recruitment – can be just as profound. 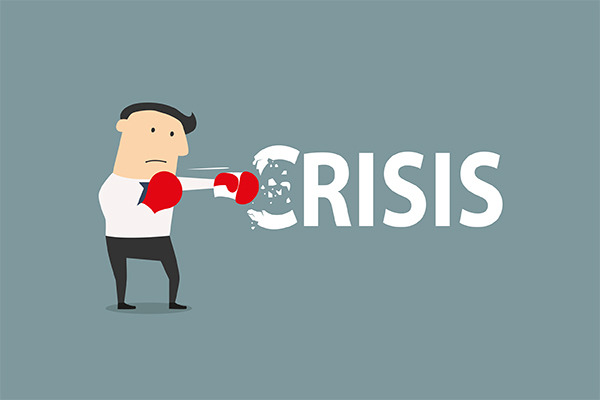 During a crisis, reputational damage is felt organisation wide. In the security industry, an organisation’s reputation is its trading currency. Its legacy of trustworthiness and operational success is the reason why clients hire and continue do business with the organisation. When scandal erupts, even the most loyal of clients will quietly reconsider their contractual position. Guilt by brand association is a strong motivating factor in a marketplace that is teeming with consumers who have exceptional brand acuity. That means, while the organisation’s brand is being bashed in the media, its guards are still patrolling client premises in uniforms bearing the company logo. Clients and their stakeholders will not be oblivious to this fact. If the organisation’s brand will harm theirs, the organisation becomes collateral damage as contracts are withdrawn and new clients vanish. Organisations not only need to plan for every risk their clients may face and even perhaps some internal business risks, but also for the risk of bad publicity. Developing a bulletproof crisis communications strategy to positively influence the audience during a corporate crisis is much easier than most people realise. In fact, organisations that are experts in their industry are best placed to identify and mitigate the risks that are likely to arise when their reputation is under fire. 1. The first lesson of war is to plan for it during peacetime. Savvy nations invest in defence forces in case they need to defend their sovereignty, strategic interests or the sovereignty of their allies. For strategic and tactical advantage, they do this well before soldiers’ boots hit the ground. Similarly, organisations that invest in crisis communications planning in case they need to defend their reputation, strategic interests or perhaps even the reputation of a stakeholder, have the strategic and tactical upper hand. While the media count on an organisation’s lack of preparedness in response to their ambush, being ready for them before they camp out on the front lawn gives management far more control over the organisation’s narrative (or the story it wants to tell) than the old escape and evade tactic. 2. The second lesson of war is to be strategic. Know the enemy. When the media come calling, management should already have a fair idea of their modus operandi. From tabloid-esque publications to serious investigative journalism and everything in between, appreciating the nuances between each media outlet and the way they tell stories is an essential element in developing a strategic approach to response. Never before has the how, when and who of message delivery been as important in crisis communications as it is today. Part of an organisation’s planning for reputational risk needs to include strategically providing management with options to communicate their side of the story in a way that provides as much control of the narrative as possible. Social media gives management a range of options to proactively control their own narrative and be the creator of their own news. If a crisis is about to unfold, breaking the news themselves by calling a press conference or issuing a written or video statement takes the scandal out of the story, provided they take a mea-culpa approach. Savvy organisations may even build their own newsrooms over the longer term to ensure their ability to communicate during operational business as usual and during times of crisis. This is effective and places them in a position of authentic brand leadership. Authenticity, honesty and strategic intent are the biggest allies in remediating reputation. Whether an organisation is on the offensive by breaking bad news first, or on the defensive in responding to media questions, management need to think beyond the press release and toward YouTube, Facebook and other social channels that provide an opportunity to proactively engage with the audience that will be online, with or without their input. Management must answer the hard questions; do not avoid them like a politician who tries to spin the story sideways to redirect attention away from the elephant in the room. The media rarely ask questions they do not already know the answers to – do not make a bad situation worse by demonstrating a lack of situational awareness and creating a perception that the organisation has something to hide. Do not give anyone a reason to believe there is more to the story than there really is. 3. The third lesson of war is to train the army. It is no secret that some of the best, most impressive military operators in the world come from nations that invest heavily in the development of their niche skill set. Driving a tank or flying a jet is not a skill one is born with; likewise, dealing with the media during an organisational crisis is a not a skill that comes naturally for most people. The leadership team must be able to deliver professional, authentic and on-target messaging during a crisis. Invest in training people together as a team. This will not only serve to ensure everyone in leadership roles has the skills required to speak on behalf of the organisation, but it also provides the organisation with critical contingency options. It is tempting to think less is more in this equation, but issues such as succession planning and key employees being on leave can quickly destabilise the ability to deliver effective crisis communications in a 24/7 environment. Plan for these variables to avoid becoming a victim of Murphy’s Law. Leaders are not immune to crisis. If the CEO or another member of the executive or leadership team is the cause of, or embroiled in the crisis itself, quickly sequester him or her away from the organisation and out of public sight while he or she is managed. This frees up the organisational spokesperson to concentrate on the crisis at hand without competing for airtime. Crises arising from social media can pose very different challenges for security organisations. While the news media’s publishing of the story online will certainly outrank even the best search engine optimisation strategies, the variable factor on social media lies in each network’s global user base. If an organisation has built a social media community around its brand, when the trolls come out to play so too will the community that may actively advocate on its behalf. Organisations that are exceptionally social media savvy and use their networks as a customer service portal, newsroom or regular community engagement channel can, with the right team in place, use social media to manage the crisis effectively. Having primed their audience and built their trust over the long term, their ability to continue to leverage social media channels to manage the crisis in a transparent manner will give them unprecedented control over their own narrative. Being the source of factual information places the organisation in a strong position of leadership and demonstrates a commitment to customer experience. Conversely, if organisations are not corporately present on social media, people will still be talking at them and about them. By default, an offline crisis will move online. Whether or not organisations track these conversations should form part of their strategy. If they choose not to monitor online sentiment, they risk missing out on valuable insights into how the crisis is developing, subsiding or worsening. Regardless of whether it is using social media or not, the key to an organisation’s reputational remediation online lies in its authenticity, honesty and ability to engage with the audience it offended or wronged. A word of warning: a crisis should not be the reason an organisation suddenly becomes active on social media. 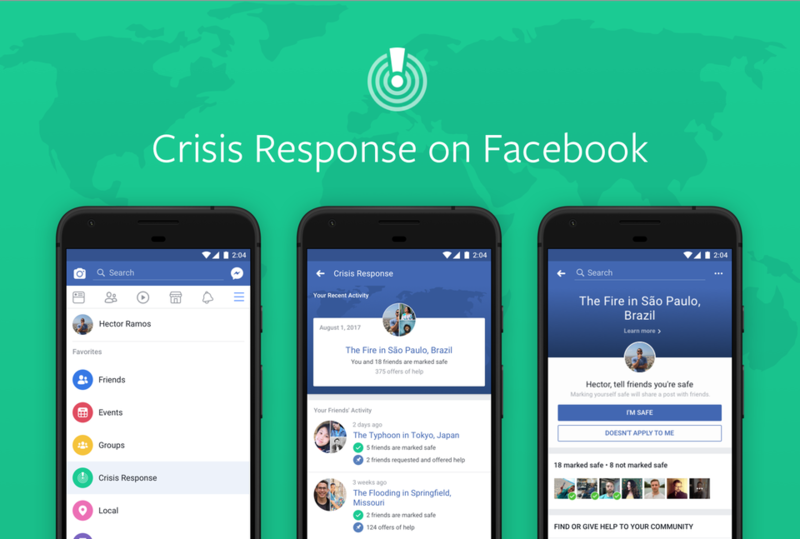 In fact, commencing a social media existence in response to a crisis can present more issues than solutions at a time when fewer complications, not more, are needed. Skills and resourcing are at the top of that list. Who is going to run and monitor those networks? Who in the organisation’s workforce is aptly trained and experienced in social media community moderation? Social media is a 24/7 proposition and is not a task for the intern or administrative assistant. Organisations should not jump on the bandwagon during a crisis if they do not have the expertise to manage social media effectively. Organisations that are not present on social media should not let their absence give other people opportunity. Proactively protecting an online reputation should form an essential part of an organisation’s crisis communications strategy. The brand’s intellectual property, for example, is one of the easiest things to protect – yet it is commonly overlooked. Securing an organisation’s brand @handles on Twitter and Instagram will prevent enterprising or nefarious individuals from masquerading as the organisation online by creating accounts in its name. Similarly, establishing official Facebook, LinkedIn, Google Plus and YouTube presences will ensure the brand is not easily confused with that of an imposter. Of course, it is best if an organisation is active on these networks rather than becoming a corporate cyber squatter; however, at a minimum, an organisation should be the one holding the social media keys to its brand on every network. Social media impersonation can be both the cause of and a continually damaging factor to organisational crises. Not only can imposters fool customers, stakeholders and the general public into thinking they represent an organisation, but they can also steal an organisation’s online traffic, sending anyone who clicks on links to any number of nefarious places. The same approach should be taken toward securing variations of an organisation’s URL; whether it has a website or not is a moot point. Proactively controlling a web presence denies opportunistic individuals from causing or exacerbating a crisis. At the heart of every scandal lies a story with an emotive trigger. The scandal resonates with people on an emotional level and their reaction will define how an organisation’s crisis plays out in the short to medium term. Recognising what this emotive trigger is within the crisis is an essential step toward being able to communicate effectively towards remediating the organisation’s reputation. Security officers, for example, are held to the same ethical and moral standards as other law enforcement professionals. When an incident occurs that involves a guard that has demonstrated a lack of ethics or morality, it is perceived as an affront to public confidence. Security companies should move quickly to distance themselves from employees who have demonstrated such behaviours by managing those individuals out of their workforce and publically apologising for their behaviour. ‘Sorry’ is one of the most powerful words an organisation can employ when genuinely delivered. Organisations are vicariously liable for the actions of their employees. Showing corporate leadership and conviction of character by taking corporate accountability in a public way is essential; no one should be left in any doubt about management’s feelings on the crisis and the events that caused it. Communication, particularly during a crisis, should be an open dialogue between an organisation, its stakeholders, clients, workforce and the media. ‘No comment’ is not a viable crisis response in today’s prevailing climate of 24/7 news and citizen journalism. ‘No comment’ only succeeds in sending a clear message that the organisation is not in control of the crisis and has something to hide. An organisation that removes itself from the news media conversation is effectively giving its blessing to journalists and the general public to write the crisis narrative for it. Unsurprisingly, management are unlikely to like what they publish. Perhaps the most fortunate aspect of crisis communications in today’s digital and social media environment is the fact that an organisation does not have to live through its own crisis to learn from the mistakes of others. A Google search for #PRFail will return a myriad of examples of how organisations have found themselves in the crisis communications hurt locker and how they navigated their way back into business as usual. It is not pretty reading, but it is educational. The most common point of failure in every organisational crisis is a lack of preparation and training. The ‘it will never happen to us mentality’ is a negligent response from leaders who fail to appreciate the dynamics of the news and social media cycle. With most crises the result of internal issues and mismanagement, can any organisation afford to ignore planning for its known risks? Let management’s actions in response to a crisis speak louder than their words. Do not be organisationally defined by a crisis: be defined by the response to it.